Burning Moon's Inside advice: Little Black Cat Review & Giveaway! Ever since I was little I've always been a big book worm, I love physical books that I can hold in my hand because of the weight, the smell and the wonderful memories I have from past books. Having a physical book means needing a book mark, I can't stand folding over the corner of the page because it ruins the page so I like using bookmarks that won't ruin the book. I've recently found a bit of extra time to start reading again but realize I don't have a decent book mark, I've just been using business cards or anything I can get my hands on. I no longer have to use what ever flat object is around me as a book mark any longer thanks to an Etsy shop called Little Black Cat. The bookmark I received has two of my favorite things, Harry Potter and Groot, this bookmark is making me even more anxious to see Guardians of the Galaxy Vol. 2 because of baby Groot.This book mark is a lot of fun and it is thick enough that it has a little bit of weight to it so that it stays in the book but it isn't thick enough that it will leave a dent in your book. The color of the book mark looks great and I think the baby Groot is beyond adorable, this bookmark makes me smile every time I see it. Shipping was quick and the bookmark was in an adorable little packaging with a thank you note and a business card which I thought was a great touch. This book mark sells for $3.87 each which I think is worth it because it feels like a book mark that will last you a long time, not only because of how it is made but because it is plastic instead of paper it won't get ruined if it ever gets wet. 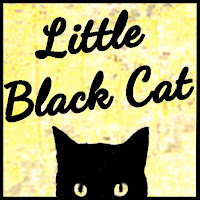 Little Black Cat not only sells "My Patronus is" book marks but they also sell movie reel clip bookmarks. One lucky winner will receive a "My Patronus is" book mark of their choice. Your choices are; Pikachu, Baby Groot, Chocobo, Wookie, T-Rex, R2D2, BB-8, Totoro, Ewok or Zombie. Giveaway entry question: Which Patronus will you choose? I really like the "My Patronus is a Zombie" bookmark best. I loved the My Patronus is a T-Rex bookmark! I would pick the Pikachu bookmark. I love the Lion King bookmark I love how it shows movement and film strips is so unique it's really special and magical like when one reads a book your imagination comes alive. Love all the film strips they are so cute!!! I like the My Patronus Is a T-Rex bookmark. I like the Hermione bookmark. I love the "My Patronus is an Ewok" bookmark. But since my husband does not like Ewoks, I'd have to get him the R2D2 bookmark, too! 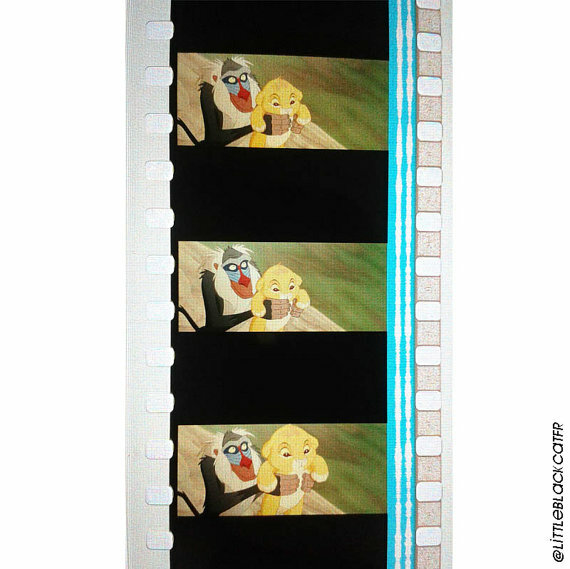 - Kristin D.
I like the Aladdin Filmstrip bookmark. But the Harry Potter Deathly Hallows bookmark is awesome too! 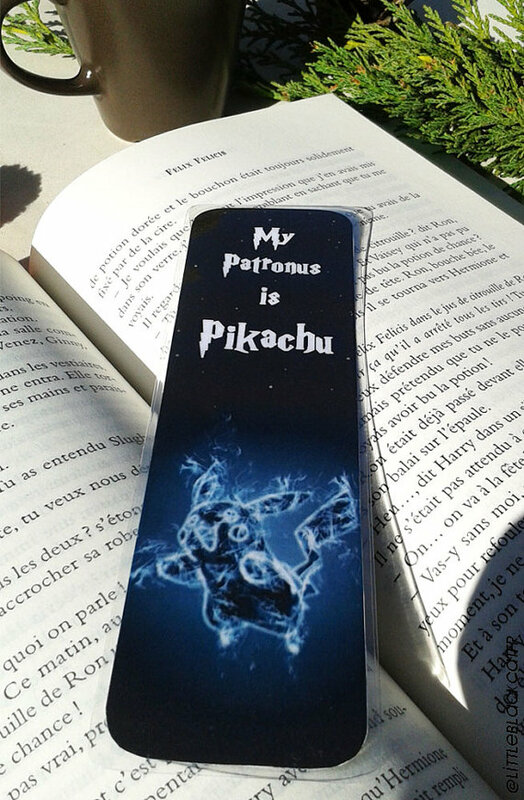 I love the Bookmark Patronus T-Rex, Harry Potter's world // Creation, Handmade Bookmark! I love the Bookmark Thor Chris Hemsworth movie Film strip // Unique handmade. He is so handsome.